Give the gift of a clean home. Guaranteed to make them happy. Use the form below to order your gift card. Or, if you already have a Mopify account, login and order from your customer dashboard. 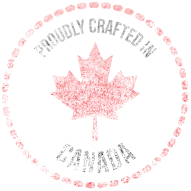 A custom gift card is created and sent to you digitally. 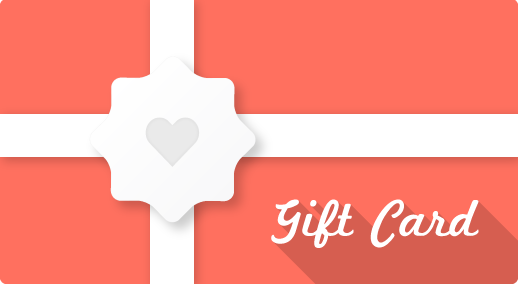 Present the gift card to the recipient, who can then create a Mopify account and redeem the card for house cleaning service! There’s some people that are near impossible to pick gifts for. Every birthday and holiday, you’re left frantic searching for the perfect gift. But you never seem to find it. This time, get them a clean home. It’s guaranteed to make them happy. The last thing a new mom wants to think about is cleaning the house. Let her focus on her new bundle by getting her a gift certificate for home cleaning. It’s a great baby shower gift or drop it off once the baby has arrived! If you’ve got kids that are students, you know that cleaning is pretty low on their priority list. Giving them a Mopify gift card ensures they finally clean their bathroom. And, let’s be honest, it also gives you peace of mind knowing their apartment is finally clean. 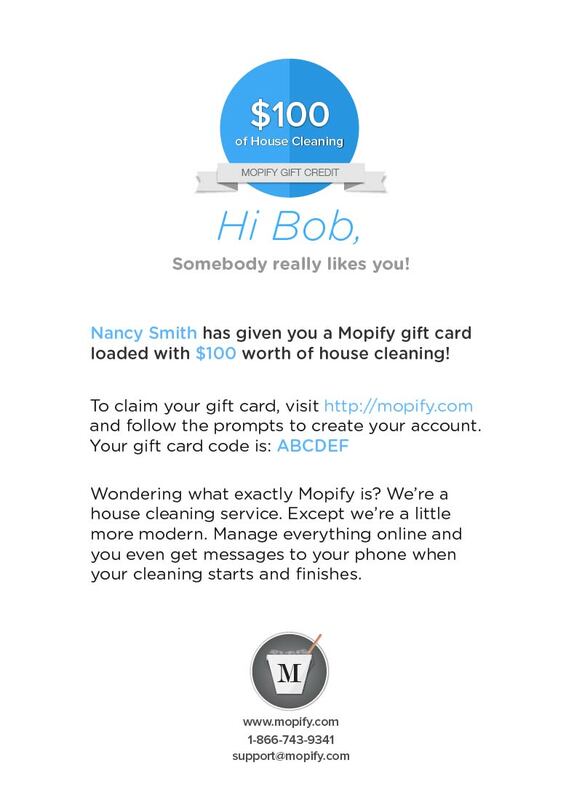 Order a Mopify e-gift card for house cleaning by filling-out the form below. Or, if you're an existing customer, login to your account and complete the transaction from your customer dashboard. This is a surprise, will you tell the recipient? Your surprise is safe with us! We'll let you send them the gift card unless you ask otherwise. Good question. Click here to get a preview of the gift card. Does the recipient have to attach payment information to their account? Yes, but it is only charged if the amount of the cleaning exceeds the balance on the gift card. What happens once I've filled-out the request form and paid? You'll receive an email with your customized gift card in it, which you can then present to the recipient however you want. This email will also have the receipt of your purchase in it. Does this work for recurring cleanings? Absolutely it does. A gift card balance is attached to the recipient's account so they can get as much cleaning as they want until the balance runs out. They are not refundable. All purchases are final. Please verify that we service your area before purchasing a gift card. Please allow up to 24 hours to process gift cards, although they'll usually arrive much faster. If you're in a hurry to receive it, please get in touch with support and we'll be sure to get it to you ASAP. Looks like you already have an account. Please login to your account to buy a gift card.